For those who are contemplating starting your own bladesmithing business or for students who want to return to continue their studies with Murray, the Carter Cutlery Journeyman Program (read for additional information) is designed for you. 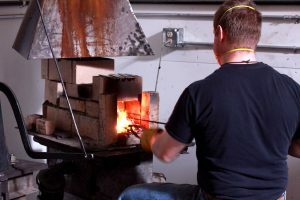 Attend 15 full days of intensive Traditional Japanese Bladesmithing instruction, which is $15,000 worth of instruction. You are free to attend any class I offer, 100, 101, 102, 103, 201, 202, 203, 301, 302, 401 and 500 (with the only exception being the 402 Sword Forging class). You can attend any of these classes in the order that makes the most sense to you personally, and you can even repeat a class if you so desire. The only limiting factor is that you have a total of 15 days of classes. I normally don’t do it, but if requested, I’ll make an exception and offer exclusive one-on-one instruction in the shop, but one day of one-on-one will count as two days credit. 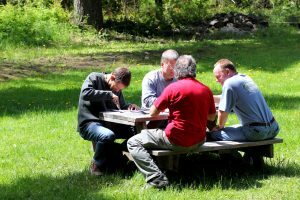 The last day of the 15 will be spent in a classroom environment where we will learn proven business strategies and then create a personalized custom business plan for you. Receive two years of constant coaching. This includes monthly phone consultation over a period of two years (24 months) and unlimited email correspondence. The duration of each monthly phone call will be 30 minutes. After you complete the 15 days of intensive instruction, it is in my greatest interest to see you through to success, so I will do as much as I can do for you. The 24 month phone consultation will start upon completion of your second course in Traditional Japanese Bladesmithing. That is 12 hours of the finest bladesmithing consultation over the phone, plus many more via email. Receive enough Japanese laminated steel, handle material, liner material, pins, and kydex to complete 10 custom neck knives to sell. These materials will allow you to immediately exploit the skills I will share with you and help build your experience and confidence. 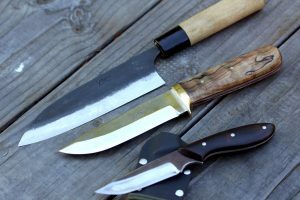 What’s more, the proceeds from these knives can help you purchase new equipment that you will want for your future shop. Receive a complete set of Japanese Water stones and my award winning sharpening DVD instructional set, consisting of both “Blade Sharpening Fundamentals” and “Advanced Blade Sharpening Techniques.” These two DVDs have taught thousands of students to competently and confidently hand sharpen any tool they come across. As an extra bonus, we will include all three copies of our Kitchen Cuts videos. 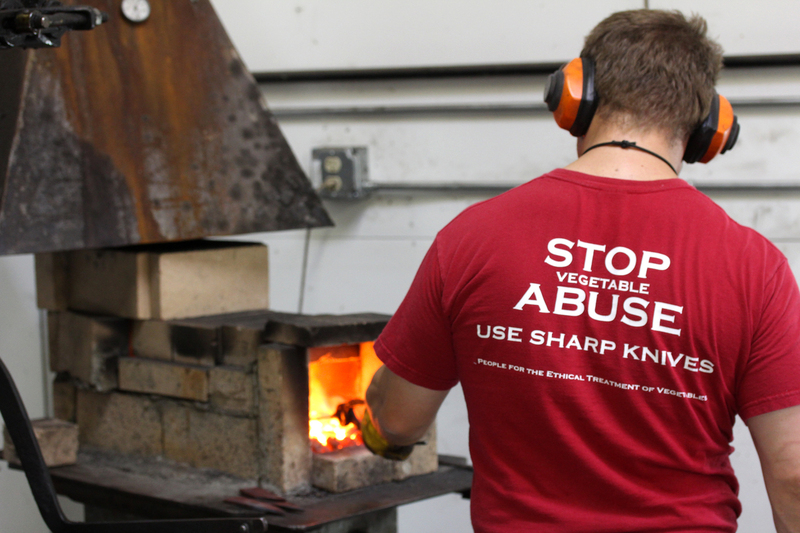 Receive personally autographed copies of “Bladesmithing with Murray Carter” and “101 Knife Designs”. In these books with hundreds of detailed photographs and drawings, I will reveal all my bladesmithing secrets and proven knife patterns, as well as include a detailed biography of my time growing up in Canada and then in Japan. 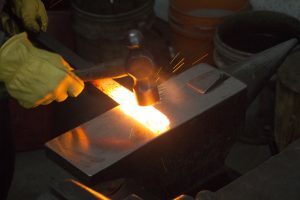 *Students may apply any tuition they already have paid for Traditional Japanese Bladesmithing instruction towards the tuition of this program.